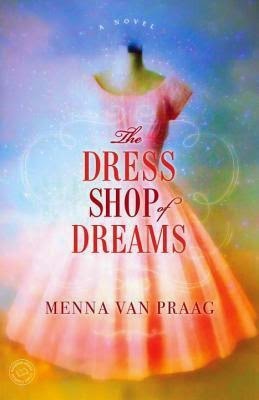 Menna van Praag’s highly anticipated second novel (after 2013’s The House at the End of Hope Street) delights with elements of fantasy, fairy tale and magical realism. Beautifully written and vibrantly shared, it’s a tough tale not to fall in love with. Cora Sparks, a scientist, lost her parents under mysterious circumstances many years ago. Since then, Cora has immersed herself in her work and in the corners of her grandmother Etta’s dress shop. What Cora doesn’t know -- though we all suspect -- is that one should never underestimate the power of a good dress. And there is magic waiting in the shop’s corners that will help her realize all of her dreams: even the most important ones.